①If have any problems with with the quality of our product, we will 100% refund. ②Please without any hesitations to contact us, we will handle it within 24 hours. √〖BLADE SOLE DESIGN〗→ The upgraded blade rubber sole has good elasticity which brings you a more comfortable experience. 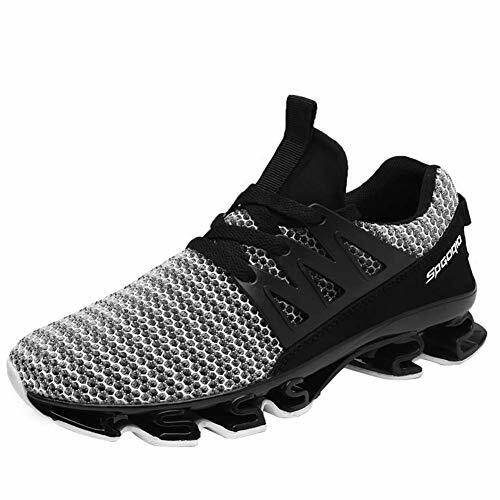 √〖〖BREATHABLE MESH〗→ Breathable and lightweight mesh upper allows your feet to breathe and ensures the lightweight feature,For each pair of shoes, an extra pair of memory foam insoles are provided. √〖CONVENIENT & FLEXIBILITY〗→The elastic outsole allows the sports running shoes.They are easy to put on and take off. √〖APPLICATION〗→ The stylish appearance make it suitable for many occasions, such as: gym, running, casual walking, traveling, outdoor activities and so on. If you have any questions about this product by Wander G, contact us by completing and submitting the form below. If you are looking for a specif part number, please include it with your message.